This article describes the features to look for in electronic prescribing and how this service can benefit your practice. Not all e-prescribing services are the same but if you choose the right one, it will save you time, expense, and liability. And, it is a convenience that patients like and appreciate. 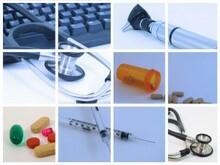 As we all know, the government is encouraging the adoption of electronic health records or EHR. In order to get the ball rolling, they have started with incentive programs for electronic prescribing. This is a first step that is fairly easy to implement in a medical office. Provision exempts physicians who infrequently prescribe. What Should An E-prescribing Service Include? The ability to integrate with the patient demographics. This is a huge timesaver. Process renewals with just a few mouse clicks. Integration of insurance information to check formularies. Easy to understand medication information should be available to educate patients. The AMA has a lot of good information on how to implement electronic prescribing. You can download the Clinician Guide to Electronic prescribing at here. The average physician writes 30 prescriptions a day and handles another 30 refill requests. Indecipherable or unclear prescriptions result in more than 150 million calls from pharmacists to physicians, asking for clarification. Communications between pharmacies and physician offices account for an estimated 20% of the workload of physician-office staff. The typical pharmacy call-back costs physician practices $5–$7 to pull and review the chart and return the call. Due largely to legibility problems, prescription orders must be confirmed at the pharmacy level in almost 40 percent of cases. Medication errors cause 1.5 million preventable injuries and death each year. The good news is that once you get set up with e-prescribing, it is easy to use and will save you time and money. We will be happy to help you with setting up electronic prescribing for your office. We handle all the paperwork and perform the training. Feel free to contact us.